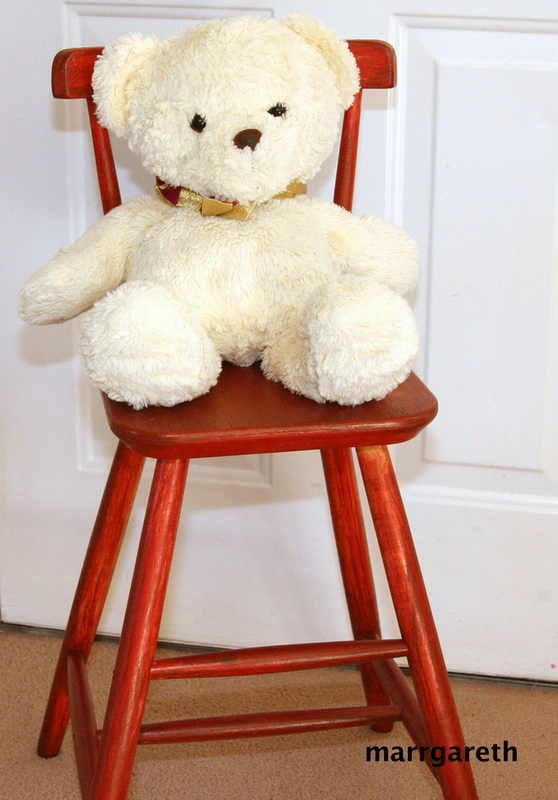 We decided to restore a little wooden high chair, which was destroyed last year by rain, wind and sun. I am not an expert carpenter, but we (me and my children) are proud of the work we have done and we want to share the effect of our work with you. We were working outside in a shady spot. 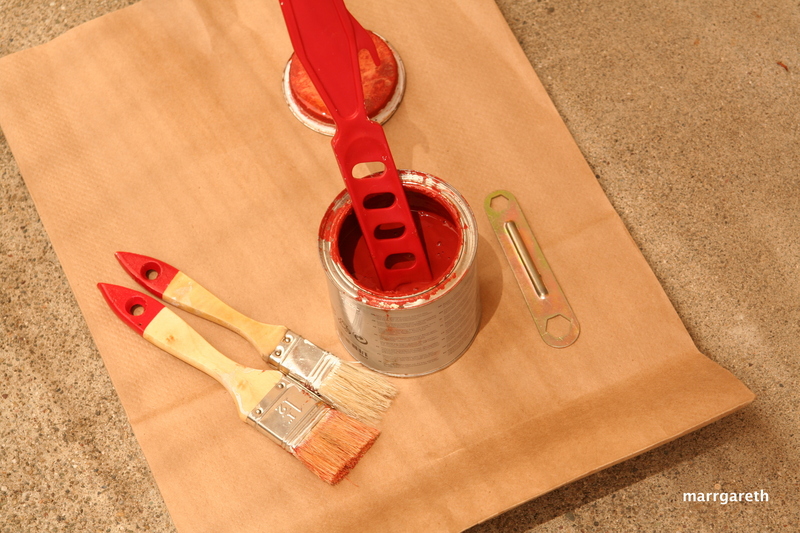 Our wood stain and wood finish are non-toxic and water-based. The first step was to remove the old wood finish from the chair using sandpaper. 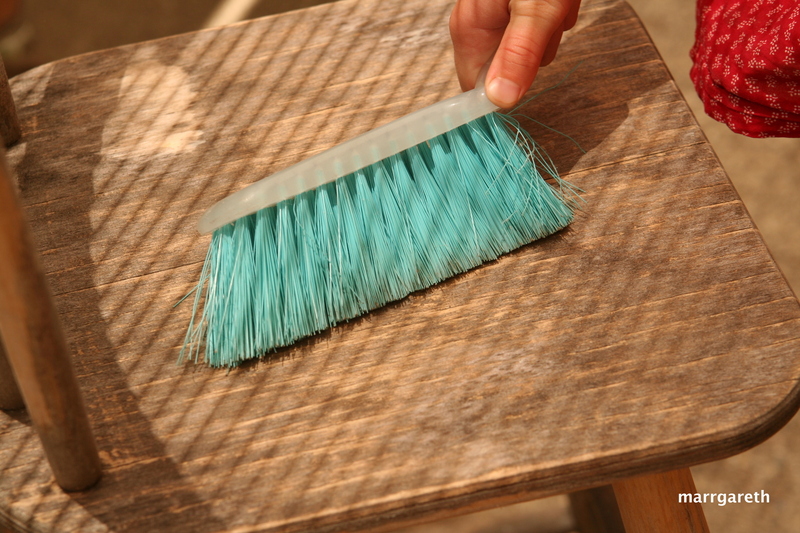 After about 30 minutes of work and a few changes of pairs of hands we were finally ready to sweep the chair so there was no dust on it. The wood on the chair was completely gray. We decided to use a red wood stain to cover the ugly gray color. My children had a lot of fun with staining the chair. Staining was relatively easy to do. Even my 2.5 year old son did not have any problem with it. The next step, which belonged to me, was to double coat the wood with a wood finish. And how do you like our high chair?